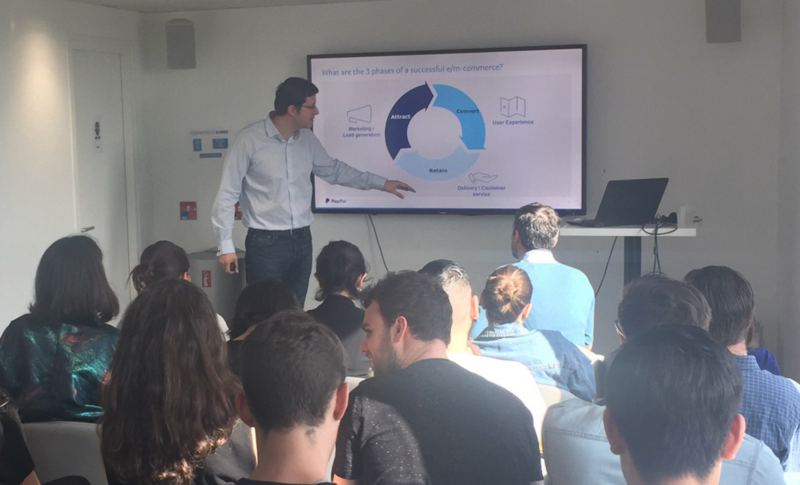 On May 11th, The Partech Shaker hosted Francis Barel, Head of Market Growth at PayPal, for an Entrepreneurs’ Talk session on the key factors of success in the e-commerce industry: Attract, Convert, Retain. This last session focused on “Retain”, the final element to the three-part series. In his introduction, Francis Barel reminded the audience that the three steps constitute a virtuous circle and that it is always cheaper to retain an existing customer than to attract a new one. Existing customers are the best ambassadors for your brand and products. 1. Attract: How do you attract more customers and leads? How can you leverage the different channels available to maximize marketing investment? How do you drive customers to find your products? 2. Convert: How do you turn a prospect into a customer? How do you ensure a seamless buying experience? 3. Retain: How do you transform a one-time customer into a lifetime one? How do you build customer loyalty? Always listen to your customers and get their feedback on your products and services. This “moment of truth” is a unique opportunity to review or question your products and customer service. Always thank your clients, even (and perhaps especially!) if their feedback is negative. When a customer hits the buy button, he has been converted. He’s excited and can’t wait to receive his product. But if he is disappointed, he will become a detractor! Once in the “basket zone”, your customer may be happy to pay more to receive his order faster. Try to propose several delivery options, such as: lower delivery cost for slow delivery / average cost and delivery time / higher cost for fast delivery time. You can also recommend that your client buy an additional product for the same delivery price. Another interesting approach is to suggest that your clients share their purchases on social networks. Francis Barel told the following famous story: “In a very chic Four Seasons hotel, a furious customer arrives at the reception with his pillows shouting “do you want to kill me!” Before even trying to understand, the receptionist apologized and asked what he could do to help. The customer explained he was allergic to feathers. The receptionist changed the pillows and most importantly, he added the information to the client's file to avoid another such incident in the future. On his next visit, the client found a suitable pillow in his room, along with a note explaining that it was a safe product.” The “moment of truth” is when the client complained. This is the chance to transform a detractor into a lifetime customer by showing him that you take his complaint seriously. Appropriate handling of this moment of truth is key to transforming it into an opportunity. Customer profiling and segmentation are essential for customer retention, even before you launch your business. Free CRM tools are widely available. Use customer segmentation to build coherent action plans to develop your customer base and cross selling opportunities. After the airline Southwest, recognized as the world’s best customer service company (no business class seats, no seat numbers, peanuts as the only food), Amazon (any cost savings are passed on to the clients - and not the shareholders), Marriott and FedEx are considered as the top 3 companies in terms of customer service. Francis Barel believes that providing your employees with the opportunity to make goodwill gestures is essential. NPS (Net Promoter Score) is a simple customer loyalty metric that tracks and measures customer experience. It is designed to understand customer experience with a single question on a score of 0 to 10: How likely would you be to recommend my brand/products to a friend or colleague? For example: Promotors 80 % / Passives 5 % / Detractors 15 % = NPS of 65 %, the highest score. Calculating your NPS in the early stages of your business is very important as retail actions begin with the very first purchase. “When you have just a few customers, don’t hesitate to contact them and thank them for their confidence. It is also an opportunity to check that they really exist and understand how they discovered your brand” said Francis Barel. You wish you were here? Join the Entrepreneurs' Talk MeetUp group and don't miss any of our next events!